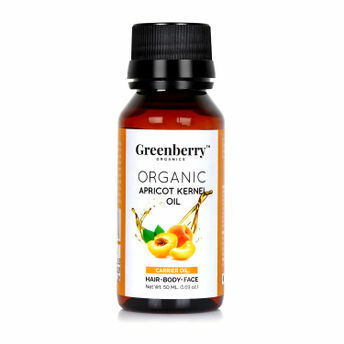 Greenberry Organics Organic Apricot Kernel Oil comes from carefully selected apricot kernels from Turkey, so that you can get nothing less than flawless skin and hair. The excellent moisturising nature of the oil softens skin, leaving a silken touch. 100 percent organic and pure, this Greenberry cold pressed oil brings you the intense nourishment of natural vitamin E and A for toned skin and healthy hair.